Satellite constellations plans have been a central satcom topic for decades. From expanding the customer base to providing connectivity to rural areas, the potential is immense but likewise are the challenges. 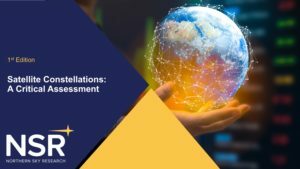 With a certain level of skepticism airing around these plans, NSR’s Satellite Constellations: A Critical Assessment report dives into the various aspects of the business and takes a stance on the future of key satellite constellations. This report provides an in-depth competitive assessment of key satellite constellations within three market segments: Communication HTS, IoT & EO. It reviews various aspect of the business case including launcher strategy, ground infrastructure costs, manufacturing and replenishment plans as well as financing status and distribution for each constellation. The financial ‘Bottom Line’ for each is scrutinized and compared against a qualitative assessment to evaluate their prospects. Based on this analysis, NSR further evaluates growth trends of NGEO constellations within each target market over a 10-year period. 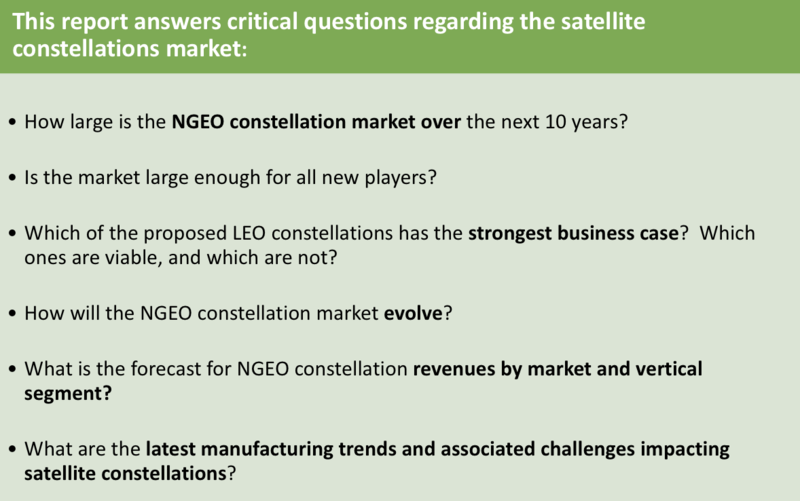 Bottom Line: How does NSR see the NGEO Satellite Constellation market developing and evolving in the next 10 years for each market? And are specific constellations financially viable? 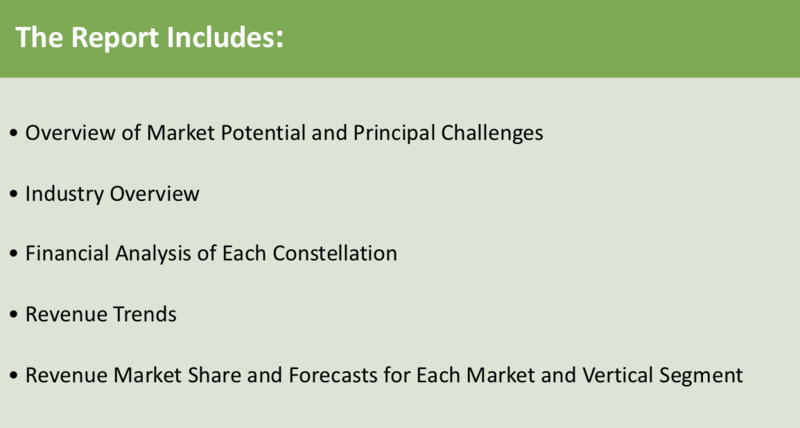 NSR’s Satellite Constellations: A Critical Assessment report provides a comprehensive assessment of the emerging NGEO market through an analysis of the new players in three market segments. 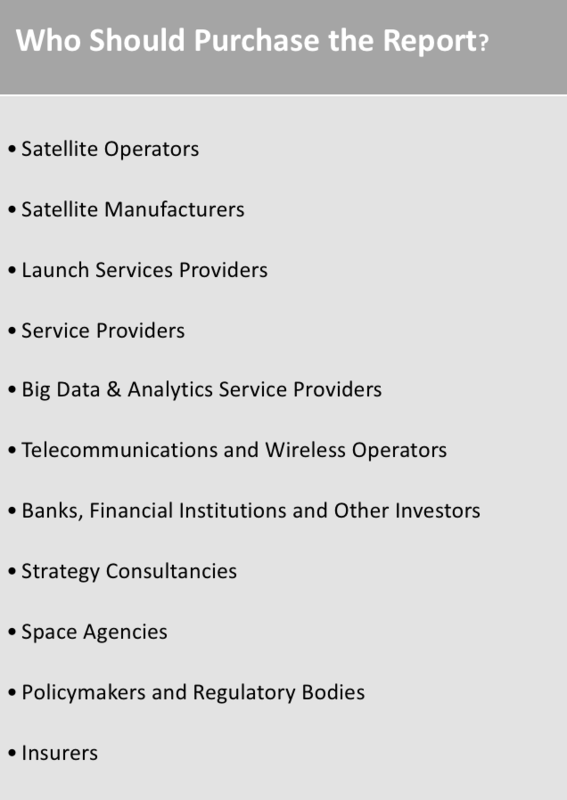 Companies and organizations mentioned in this report: LeoSat Enterprises, Inc., Telesat, SES, SpaceX, OneWeb, Kepler Communications, Hiber, Astrocast, Hera Systems, UrtheCast, BlackSky Global LLC, Planet Labs, Inc., Iridium Communications, Globalstar, Orbcomm, ViaSat, Inc., Boeing, Laser Light Communications, Theia Space, Sky and Space Global, SpaceQuest Ltd, Analytical Space, Blink Astro, Fleet Space Technologies, Myriota, Astrome Technologies, Audacy, Airbus DS, DigitalGlobe, Earth-i, Satellogic, Axelspace, Spire, e-GEOS, ImageSat International, and DMC International Imaging.